^ Ravitz, Justin. 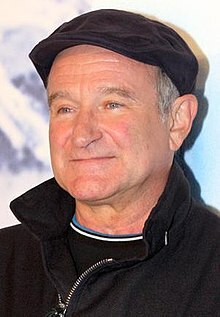 Robin Williams Weds!. US Weekly. October 24, 2011 [August 12, 2014]. ^ World Entertainment News Network. "Williams rekindles failed marriage on film", San Francisco Chronicle, August 28, 2009. Retrieved August 29, 2009. David, Jay. The Life and Humor of Robin Williams: A Biography. New York: Quill. 1999. ISBN 978-0-688-15245-1. Dougan, Andy. Robin Williams: A Biography. Thunder's Mouth Press. 1999. ISBN 978-1-56025-213-9. Spignesi, Stephen J. The Robin Williams Scrapbook. S ecaucus, NJ: Carol Pub. 1997. ISBN 978-0-8065-1891-6. Special Edition: The Death of Robin Williams. Nightline (ABC News). August 11, 2014. （原始内容存档于2014年8月12日）. The Life and Death of Robin Williams. 2020 (ABC News). August 12, 2014. Weisman, Aly. Robin Williams set up a 3-part trust fund for his kids amid money troubles before death. Business Insider. August 13, 2014. Peter Travers on 9 of His Favorite Robin Williams Performances – Rolling Stone's film critic weighs in on the late actor and comedian's best work.